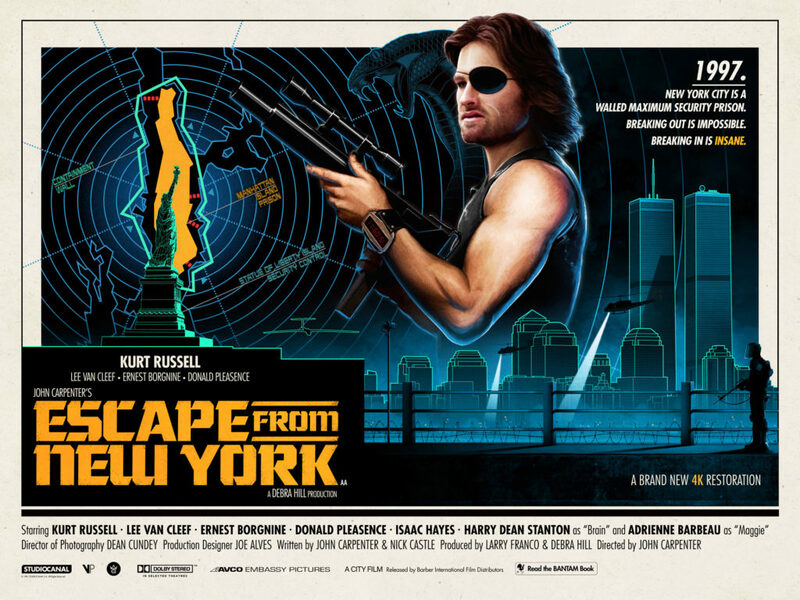 Five years before BIG TROUBLE IN LITTLE CHINA, John Carpenter and Kurt Russell teamed up for their first theatrical film, 1981’s ESCAPE FROM NEW YORK. The two had worked together previously on a made-for-TV Elvis biopic. 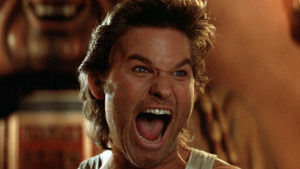 Carpenter had to battle with the studio over the casting of Kurt Russell, who was still trying to shed his image as a Disney child star. 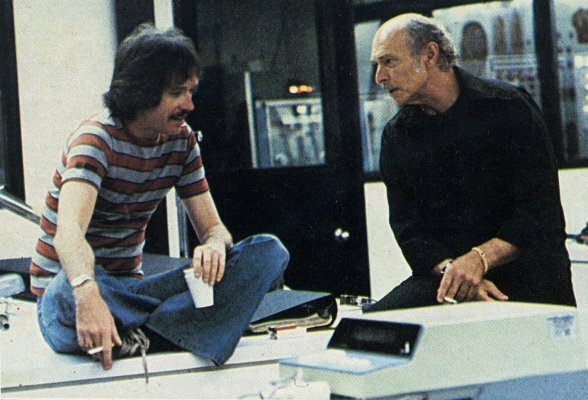 Carpenter and frequent collaborator Nick Castle wrote the screenplay for ESCAPE FROM NEW YORK in the mid-1970s as a reaction to President Richard Nixon’s Watergate scandal. At the time, trust in government leadership was at an all-time low, and America seemed trapped in a downward spiral. The film shared the same nihilistic vision of a broken society as other elevated “B-movies” of the time, such as THE WARRIORS, MAD MAX, and its sequel THE ROAD WARRIOR. 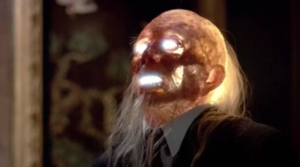 Production on the film began with a budget of $6-7 million, a large budget by John Carpenter’s standards but small compared to other special effects driven films of the era, such as THE EMPIRE STRIKES BACK, RAIDERS OF THE LOST ARK, or the famously expensive SUPERMAN and SUPERMAN II. Very little of the film was actually shot in New York, with the notable exception of the production’s incredible access to Liberty Island. Standing in for ruined New York City was St. Louis. John Carpenter and crew were given carte blanche from city leadership to shoot in an area of East St. Louis that had been ravaged years earlier by a massive fire. 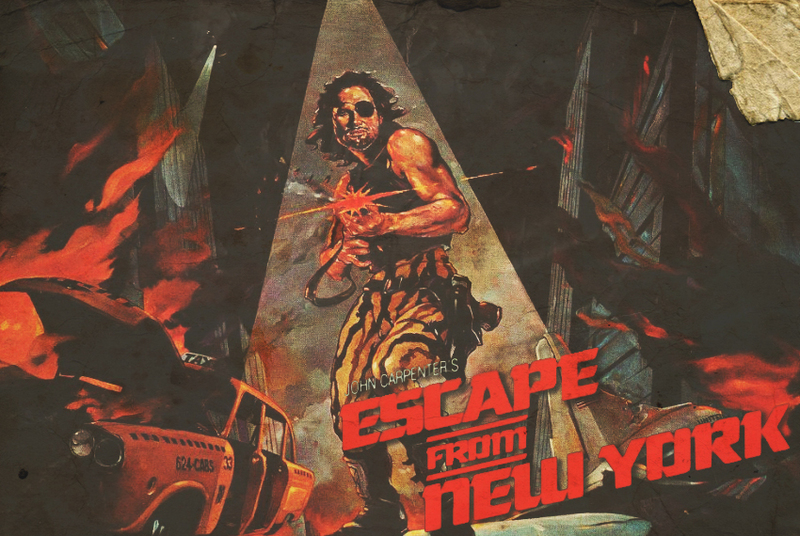 Upon its release on July 10, 1981, ESCAPE FROM NEW YORK was a hit with both critics and audiences alike. The movie still boasts an impressive 86% on Rotten Tomatoes. And its originality and exploitation trappings made it a hit at drive-ins and midnight screenings around the country. The film’s success led to the eventual 1996 sequel ESCAPE FROM L.A. ESCAPE FROM NEW YORK‘s continued popularity and cult status has spawned the predictable movie-related merchandise, and there is even talk of a remake. Although the remake project has been languishing in development hell for over a decade, recent reports have Robert Rodriguez attached to direct a script by Neil Cross. Further Reading: Will ESCAPE FROM NEW YORK get a remake? My 7 month old daughter ripping out my chest hair is the cutest and most painful thing ever!